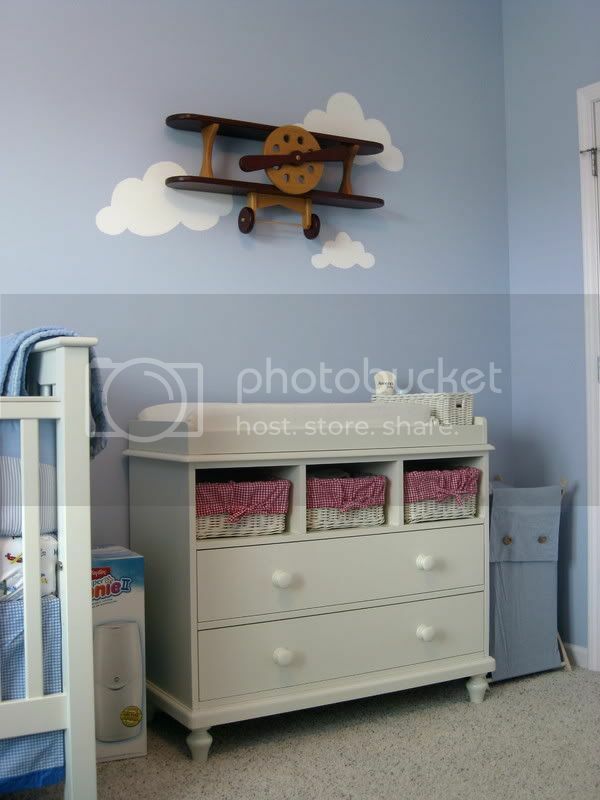 Kristen F. Davis Designs: baby henry's airplanes. 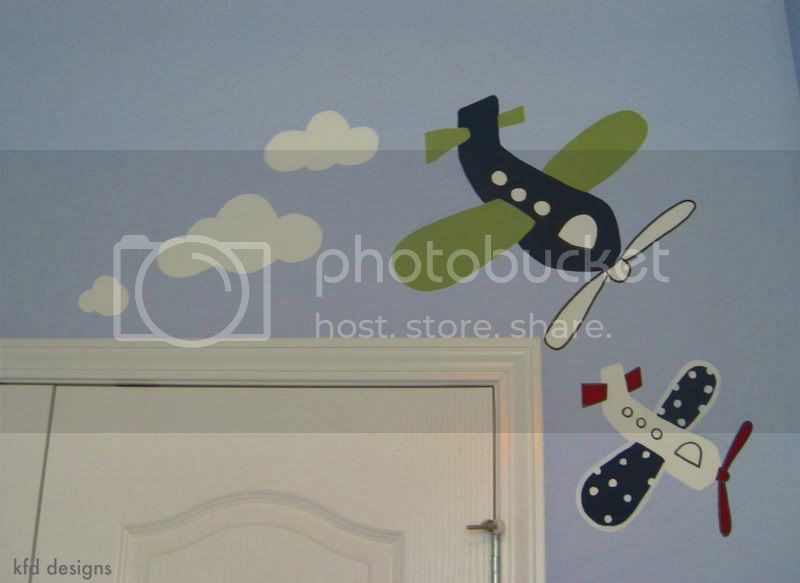 a few weeks ago, i had the fun job of painting airplanes on baby henry's nursery walls. 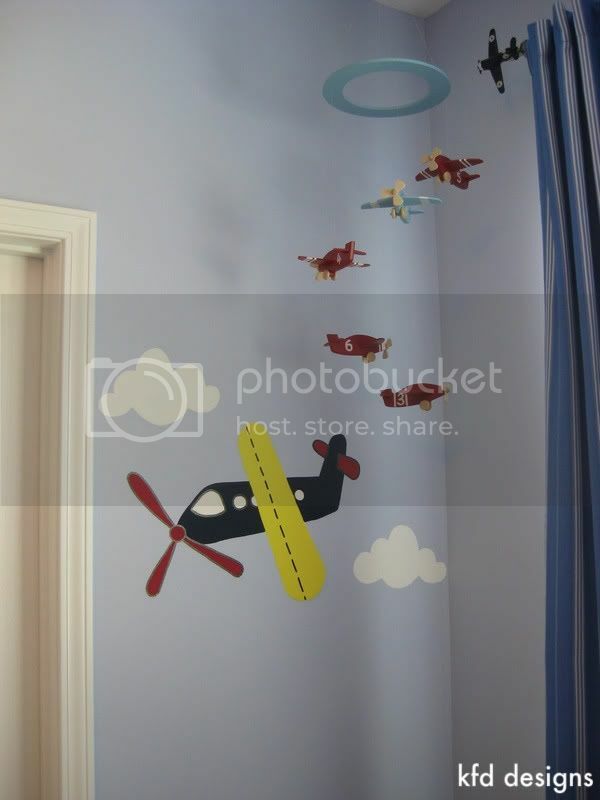 i believe his plane-themed bedding was from pottery barn, as were a lot of the accessories in the room. 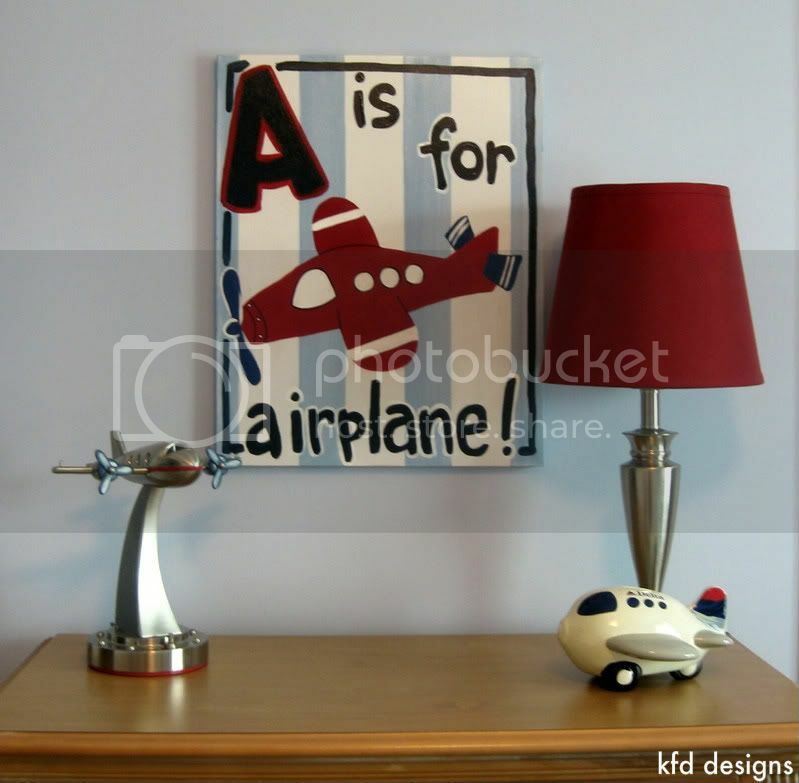 i painted flat, cartoon-ish airplanes all through his room, as well as a "A is for Airplane" canvas that hangs above his dresser. 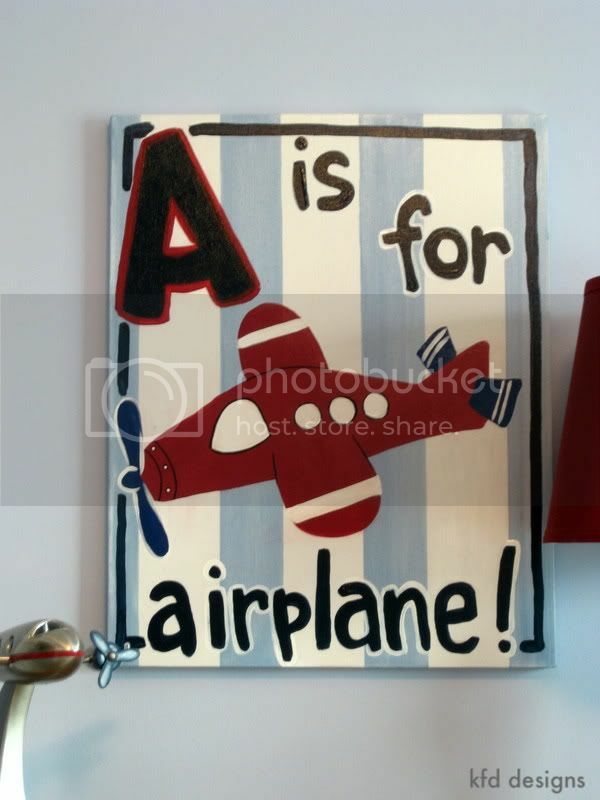 (similar to the "A is for Alligator" painting i did a while back for little graham!) 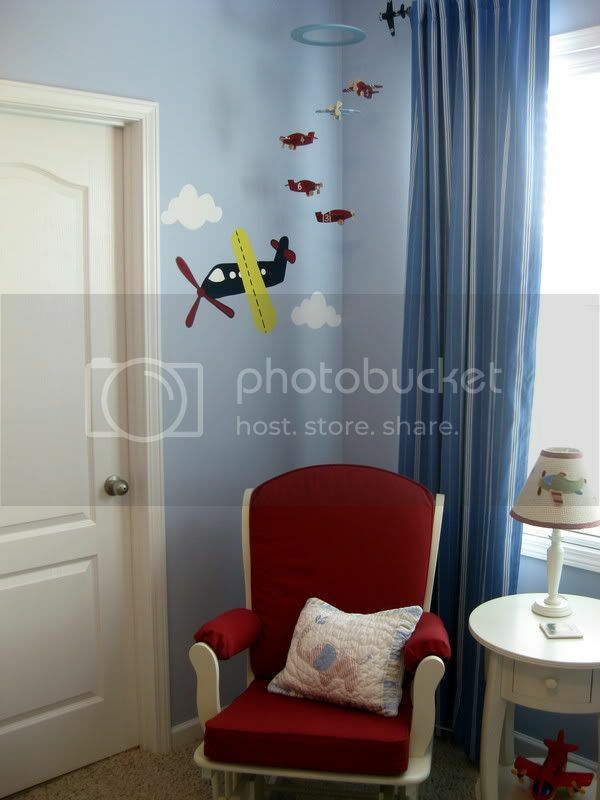 this room was very similar to the room i painted for chase, who also has an airplane room! 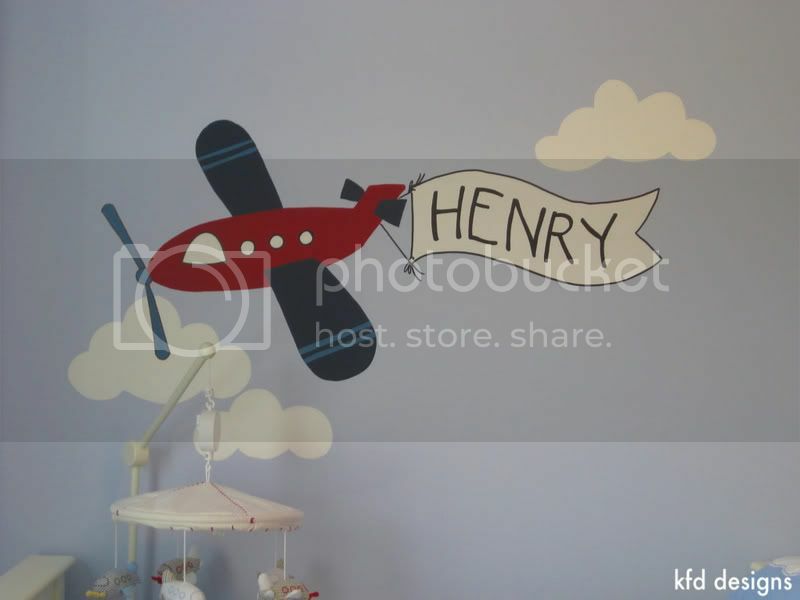 an airplane with henry's name on a banner "flies" across the top of his crib! 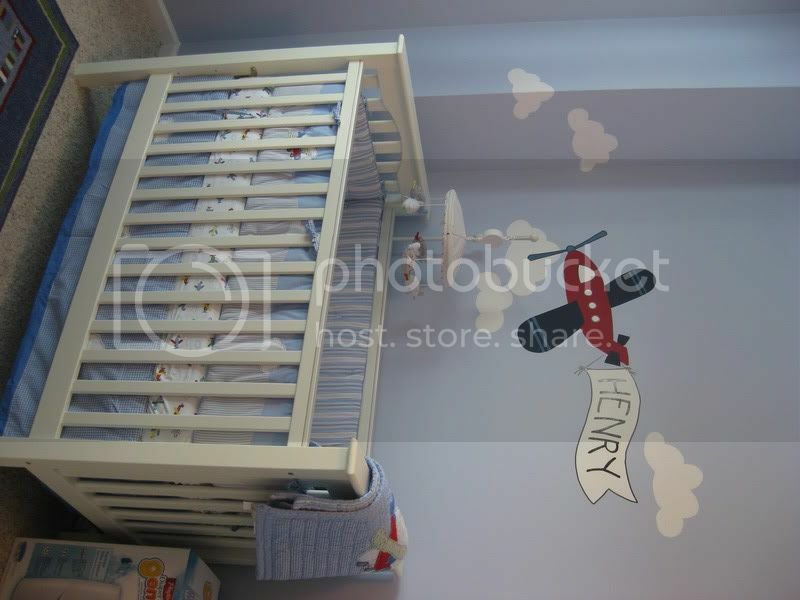 we also tried to position the painting so that one day, when he is a little older, they can put a twin-sized bed below the painting as well. 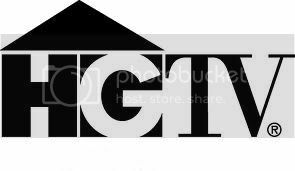 if you live in, or around atlanta, georgia, and need some custom painting done in your home, please email me at kristen.fountain@gmail.com. canvas paintings are available for anyone, as i can mail them to you! 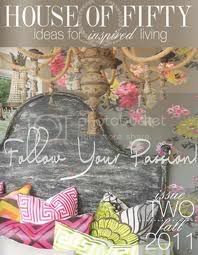 if you'd like to inquire about a custom canvas, please email me! ahhh! SO cute. 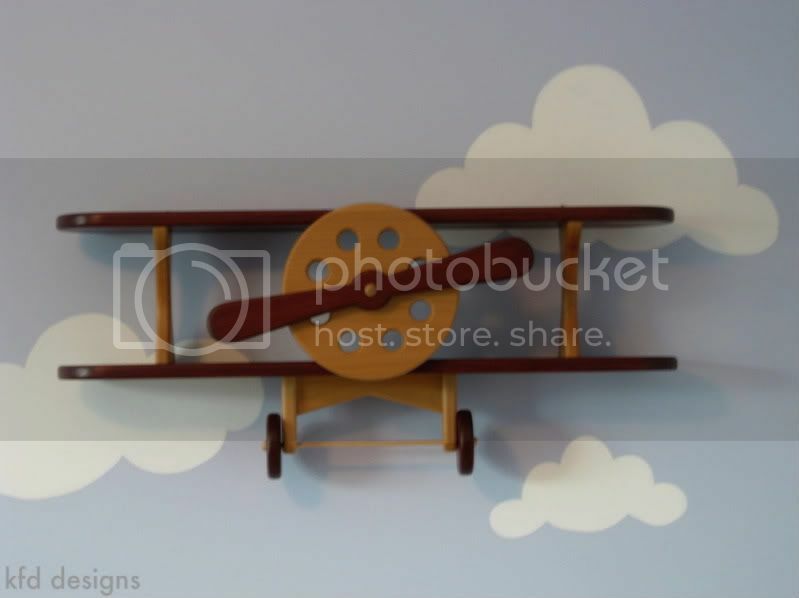 I love the airplane theme! That is just too cute, what a lucky boy! fans are a unique Rolex Daytona breed of aviation lovers who actually do fly or highly aspire to. In dive watch terms, the Navitimer might be something like an Omega Seamaster Ploprof. Sort of a big-sized, nerdy dive watch with Replica handbags a cult following and special function or case beyond that of most other replica watches of its genre. Sure, there have been plenty of Replica Watches Navitimer homages over the years, but Breitling was the first to put a rotating slide-rule bezel in a wrist watch. 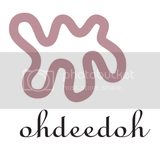 If you are in the middle of this complication as well as 4Liker Lots of people would certainly not think regarding. Kind "Mobdro APK" on your browser and the official Mobdro website will show up. imobdro.com tv show to your TV with Mobdro App totally free. Your financial institution declaration hulu plus login sign in page will offer Hulu Member Offer your very first and last name and other names on the account.